DD Your music has this nice maturity to it, very balanced. Way to go! DD I love that shuffle feel of “On The Street Dub”. What’s the vocal being used? C That’s actually Charlie Wilson, former lead singer of The Gap Band. 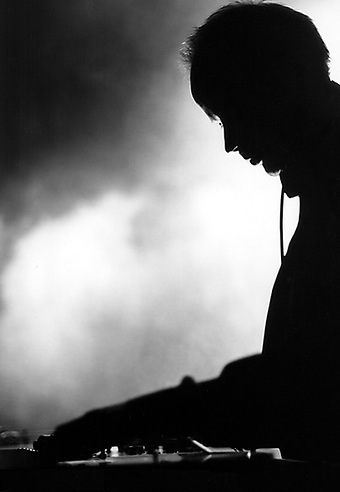 I found it meaningful to sample him, I was a big fan of that band when I was a youngster. Doing a triplet shuffle was great fun.. I always found that time signature rather corny, so it was a big challenge making it, well not corny. DD What’s it like living in Norway? An artist on my label is from there and I’ve featured this Norwegian artist named Seazo several times. Does your environment have a major impact on your work? C Norway is awesome. 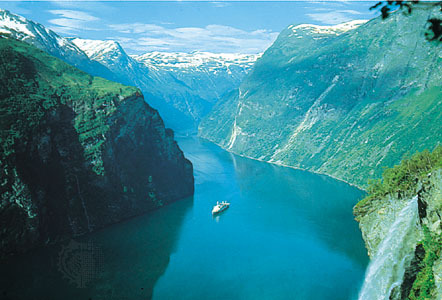 the nature and everything, the fjords..I love me a good fjord any time of the day. Only back side is, it does get cold here from time to time..It’s funny though, with music I’ve always looked to the UK for inspiration, whereas the prevailing dance sound of Norway is more of an electronic/house vibe; see Royksopp, Biosphere, Lindstrom.. I guess I try to go against the grain. But maybe if you listen closely you can hear some fjords and glaciers in my twostep..
DD What artists inspired your Garage Grooves Vol.1 bandcamp release? C Definitely the original Garage pioneers- El-B, Zed Bias, MJ Cole. but also the new breed of garage producers, like Submerse, Resketch.. Im glad the original 2-step vibe is still alive and well, and I want to do my bit to keep it that way, yet push the sound further. DD What’s your plan for new Clueless productions going into 2012? C Well, keep producing is the main plan. I hope to do more remixes, I just got my first remix release on vinyl “The Void” by danish indie band Darkness Falls, produced by Trentemøller (huge! pick it up here) – that was a great experience, so i hope to get more assignments like that. DD Favorite song at the moment? C So much good stuff coming out these days, hope It’s alright I mention a few.. Just got the new Distance “Meanstreak” 2×12″, and It’s just great; pure filthy dubstep the way God intended. On a more “post” tip Sorrow, Owsey and Ghostek are all doing great things at the moment.. One of my favourite 2steppy tracks atm is “Enola” by Mirror State and Buck UK. Also I have to mention Troy Gunner, hes got a 12″ forthcoming on Synkro & Indigo’s Mindset recordings; I see a big future for this guy.. His track “No More Tears” is a perennial favourite of mine. I also listen to a lot of Indie music; the latest Bon Iver and Fleet Foxes albums are big favourites.